The vendors around the market in San Cristobal have some truly remarkable things. 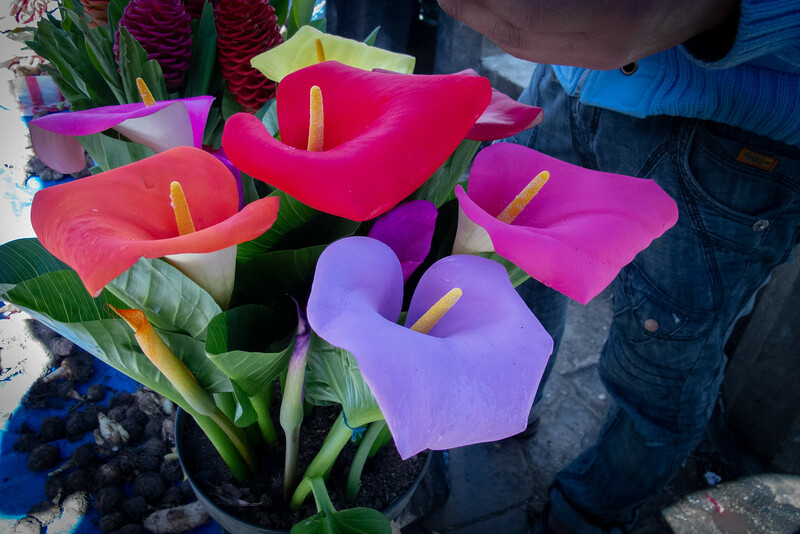 I have known about Calla Lilies but I had never seen colored ones before. The colors on these were so beautiful and vivid I thought that maybe they had been painted. The vendor assured me that they were not and showed me how the ones growing in the pots were coming up colored. He even showed me a few bulbs with streaks of coloring.